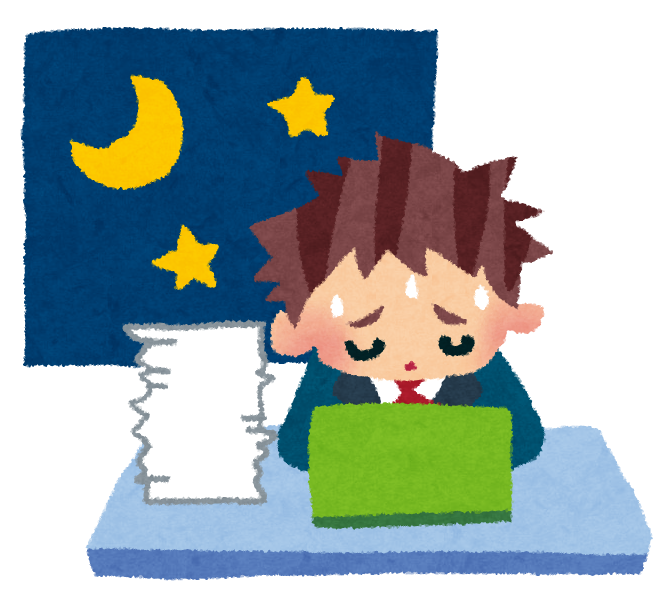 Do not you manage management without overtime in the first place? What is it? Why are you keeping your eyes on something like an implicit rule inside the company? I think that Japan's current situation is that too many companies do not do it. Here I would like to introduce five of my thoughts cautiously. Even though one overtime allowance is paid firmly, my time has been exploited. I think that it is sure that your time has not been exploited? I think that it is only those who do no work. I think that you should be working with your husband. Are not you sad somewhat? If you do not secure your own time yourself, no time will be paid from anyone. 2 Overtime work is out of the question, volunteer is nothing! · My boss's work is not over and we can not return. · I can not return because my unreasonable work is pushed every time. But the new generation can not be easy, is not it? Why do you work while you are not money? I think most of it will run out to this. As a reason, I understand it unexpectedly, do not you think? However, I'm basically just poor at running management. 3 Do not expose your overtime work to late humans! "He's working hard until this late, is not he?" No! wrong! It's just a nuisance! Especially the overtime of my boss and seniors is really annoying. I just do not have time schedule of work in time. It is really annoying. Please stick to the quality and go home quickly. The existence of a person who can say without consulting to the person on 4. It is rare. A cheeky guy who neglects his work. I think those people are truly precious people. Is it? People who have an air feeling like that. It is lovely. You can say it directly! A company that looks like it so can quit from here and talk about it. Actually it's a simple story. It does not mean I do not want to be wrong. For the first time there is power in the words. I think that there is a need to turn their eyes. It is rude story, but there are many elderly people in Japan, are not they? Many old-fashioned values ​​are sticking to society here and there, do not you? It is up to us and the generation below to make a future company and society. I think that it may be time to go breaking soon. Even if it makes a noise, nothing starts if you do not want to work overtime. How can we make work and daily life meaningful without overtime? How can I prevent overworking death or depression? How can we understand the new values ​​in the upper generation? It may be that such a thing is sought. Sorry to say truly cheeky things! I made such a blog.